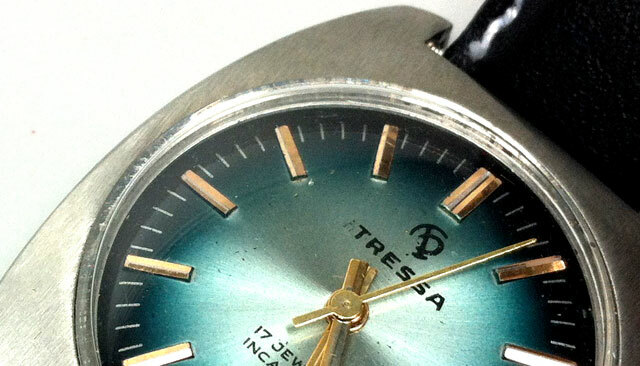 This is a classic retro watch by Swiss brand Tressa. This is the epitome of the “dress” watch for me. 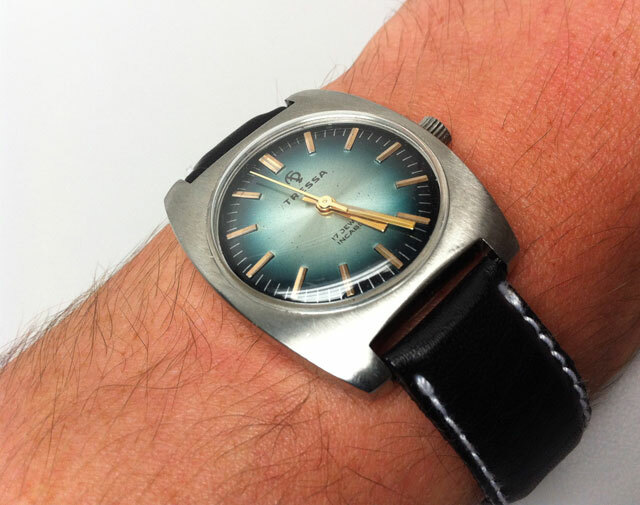 It’s NOS, 1970’s, and really draws a lot of attention. 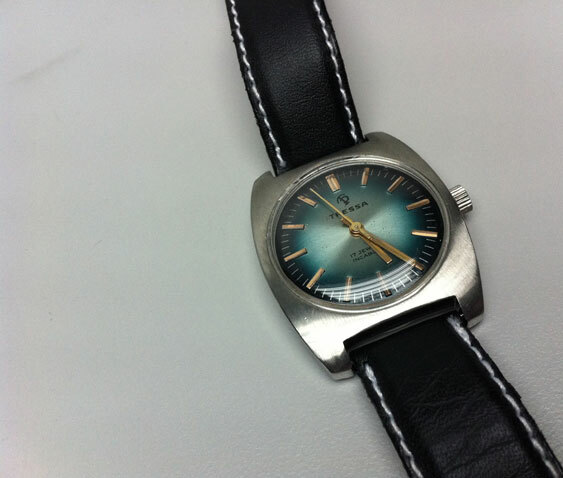 The fabulous sunburst blue face and 1970’s font lettering on the face make this utterly adorable! The rectangular steel shaped casing sits nicely on the wrist, and it’s not a hugely bulky watch – again, making it a nice “dress” watch. This watch really works well with a black suit.